As you now know this is the year of the cat because you are the cat’s meow! If any of you had gone to the regionals meetings I hope I spark some creative juices for the craft contest. I just want to remind everybody that you can enter as often as you want in the craft contest. The contest is judge at state level only at Let’s Celebrate Day. All entries will go to the Big E to be sold except those that will be use as gifts for the master and his wife; plus any dignitaries we have at state session. The Scrap booking is in its second year. Scrap booking is a book of memories of important events, vacation, or grange activities over a year, Scrapbooks will be return to their owners after the contest and only one entry is allow. 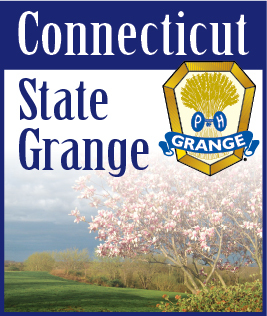 Both contest are for grange members, their children, and their grandchildren.